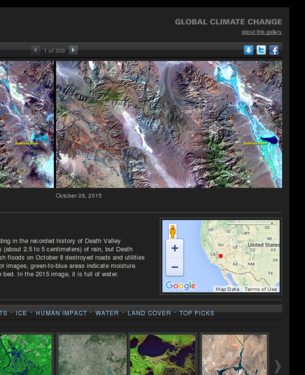 This collection of photos from the NASA Climate website features images of global change, such as floods, wildfires, and retreating glaciers. 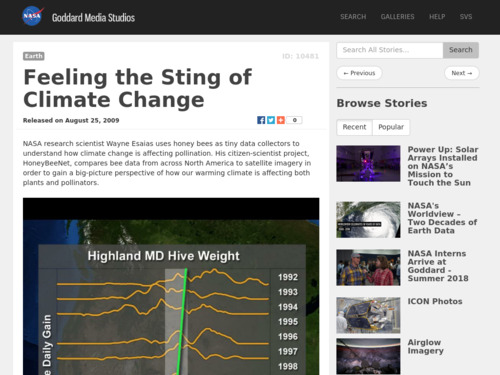 Not all images show change caused directly by climate change and energy use, and descriptive captions indicate causes for change in most of the images. 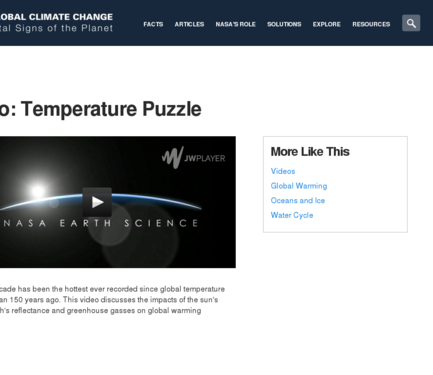 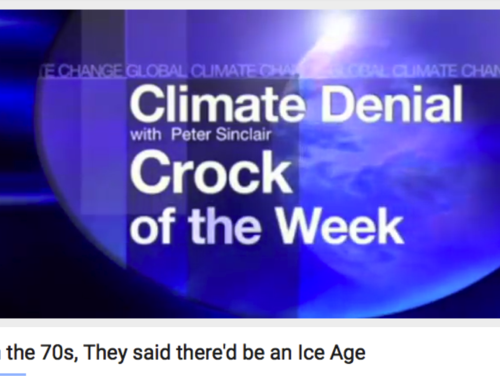 In this short video from ClimateCentral, host Jessica Harrop explains what evidence scientists have for claiming that recent global warming is caused by humans and is not just part of a natural cycle. 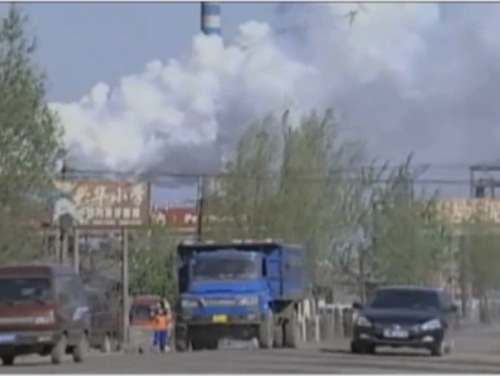 This video discusses carbon dioxide concentrations in the atmosphere that have increased due to the burning of fossil fuels in electricity generation, transportation, and industrial processes. 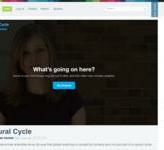 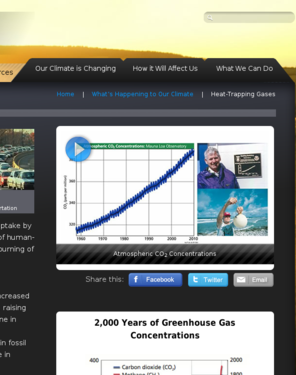 Video includes history of Keeling and his research, as well as the seasonal fluctuations in CO2. 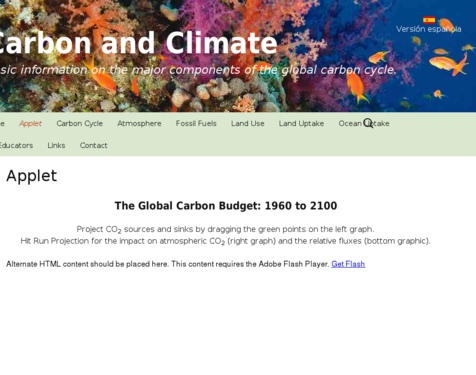 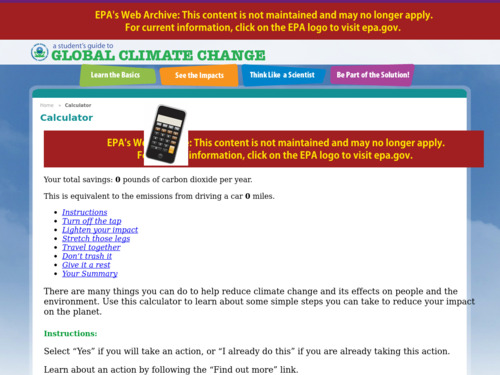 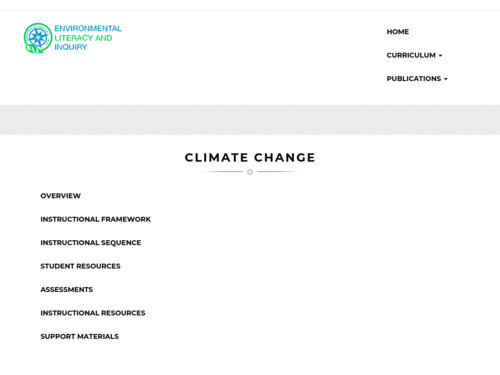 This carbon calculator, developed by the EPA, guides students in calculating their carbon footprint and then using that information to make decisions about how to reduce their carbon emissions.